In an increasingly secular sport, a small group of pro cyclists turns to a new faith-based group for kinship and spiritual support. It’s the afternoon before the 2017 Amgen Tour of California and the lobby of the DoubleTree hotel in downtown Sacramento buzzes with manic energy. Team mechanics rush through the sliding doors carrying bike frames in need of cables and housing; directors pace about thumbing out text messages; riders slouch in pleather chairs, staring at laptop screens. Amid the scene, a group of eight riders gather near the lobby bar and exchange hugs, greeting each other like old friends at a reunion. Veteran rider Ben King joins the group, as does Evan Huffman and Greg Daniel. One by one, they slip out of the room, walk down a hall, and into the silent back corner of the hotel’s empty bar. The conversation simmers, and the riders sit in silence. Then they begin to pray. The riders pray for their safety and they pray for good health. They pray for their teammates. They pray for each other, as though they were members of a family. 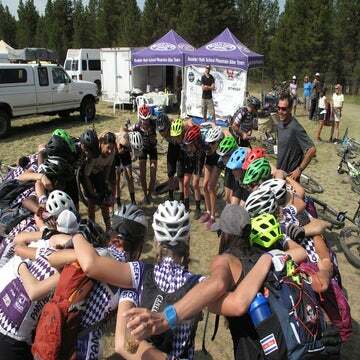 The prayer session is another meeting of the cycling-centric ministry of Athletes In Action, the national Christian sports group that was founded nearly half a century ago. 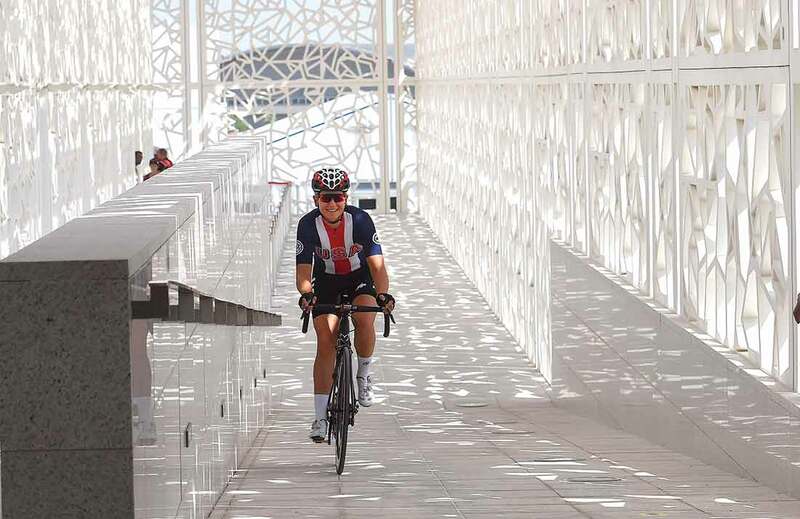 AIA’s cycling ministry is just five years old, launched in 2012 by Todd Henriksen, himself a talented racer whose pro career ended just shy of the European peloton. Henriksen and his co-chaplain, Brian Firle, crisscross the country during the season, holding prayer sessions for cyclists on the eves of the country’s largest races. The meetings serve as a rare opportunity for riders to discuss their faith within a sport that, in the United States at least, has maintained a staunchly secular divide. Cycling is worlds apart from mainstream American sports on so many levels, including spirituality. Football coaches lead their teams in a prayer before each game; NBA players regularly thank God in post-game interviews. In the U.S. cycling scene, by contrast, religious riders traditionally keep their faith to themselves. Teaching their flock to be proud Christians is just part of the mission. Henriksen and Firle believe that a deeper relationship with God can help professional riders endure the various physical and emotional challenges that the sport dishes out. Over the course of his or her career, a pro cyclist faces a litany of horrors, from injuries and eating disorders, to contract disputes, clashes with teammates, and an ever-present insecurity around employment. Across the pro peloton, riders look to coaches, agents, and even sports psychologists to help them make sense of a sport that often progresses with questionable logic. So, what if the secret to overcoming cycling’s frustrating realities is found in faith? Pro cycling and religion are indisputably linked by history and culture; cycling’s most fervent nations have long histories with the Roman Catholic Church. The confluence between the two is evident across the European countryside. Italy’s chapel to La Madonna del Ghisallo stands as a monument to cyclists, and in 1949, Pope Pius XII confirmed the saint as the official patron of cyclists. A statue of Gino Bartali stands in front of the chapel; Bartali’s affiliation with the Church was so strong that he dedicated his victories to the Pope. Italy is hardly alone. In Flanders, regional kermesse races trace their roots to Sunday festivals held just after church services. Tour de France riders have stopped to see Southern France’s famous pilgrimage shrine at Our Lady of Lourdes. Stephen Roche presented Pope John Paul II his pink Giro champion’s jersey during a 1987 meeting. Riders for Spain’s Euskaltel-Euskadi team received blessings before departing for their races. That secular divide was evident to Henriksen when he entered the U.S. racing scene in the early 2000s. Henriksen made his professional debut with the VMG-Holowesko development team and raced domestically with AEG-Toshiba through the end of the 2007 season. A lifelong Christian, Henriksen struggled to find a religious community in his sport. After retiring, Henriksen spent five years as a fundraiser for schools in Florida. In his post-cycling life, Henriksen also became reacquainted with his Christianity, which had been a secondary pursuit during his career. He continued to attend the U.S. national road race championships, to cheer on his friends in the sport. At the 2010 U.S. Pro in Greenville, South Carolina, Henriksen had a thought: What if he could play an important role to Christian riders in the peloton? Henriksen reached out to a handful of riders to see if they were interested in meeting for an informal prayer group. On the day before the race, four riders met him in a suburban Starbucks. 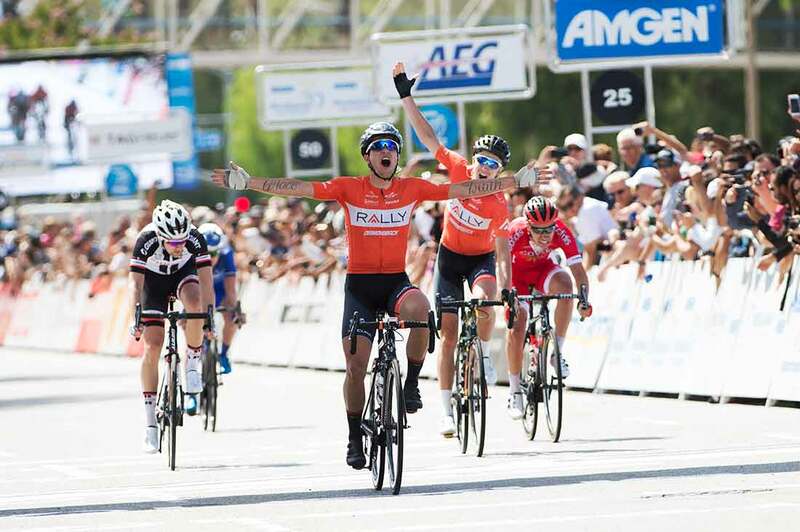 Rally Cycling’s Jesse Anthony was at that inaugural meeting and said the blend of religious faith and his cycling community presented a social challenge. How do you talk about your deepest beliefs within a community where those topics are usually off-limits? Still, the group prayed together and discussed their personal philosophies around religion. After an hour or so, they shook hands and went back to their respective teams. The next day, one of the four in attendance, Ben King, scored the biggest win of his career, becoming the first U23 rider to win the elite pro title. For the next two years, Henriksen continued to organize ad-hoc prayer meetings at the races. He also called King, Anthony, and other Christian riders throughout the season to talk about their careers and their religion. He noticed a trend: Riders began to come to him for advice on how to navigate the sport’s regular hardships. He understood the pain of crashing and the fear of disappointment, after all. Henriksen’s knowledge of racing and religion earned him a following, and more riders came to him for spiritual guidance. In 2012, Henriksen quit his job and launched his mission full-time with his wife, Tabitha. The duo began traveling the domestic racing circuit, holding prayer meetings before races, and then following up with riders for one-on-one meetings during the events. Henriksen found funding from sponsor churches and from private individuals and families. He brought on Firle in 2014 and began taking his riders on off-season homebuilding missions to Mexico. In 2017 Henriksen spent nearly 125 days on the road, traveling to the early-season American races, and even to the spring classics in Belgium. By the year’s end, his flock had grown to more than 50 riders. Swooping black lines of ink peek above Evan Huffman’s T-shirt, and more swirling lines spring from each sleeve. Huffman’s collection of tattoos includes a massive cross on his chest emblazoned with the words “The rising sun is all I see” — song lyrics from a Christian band. The words “Truth” and “Grace” are prominent on each forearm, as is a heart with a dagger. There’s also a lantern design on his shoulder. Each tattoo is a symbol of Huffman’s faith. He began adding the ink to his body in 2014, shortly after the most pivotal moment in his career. 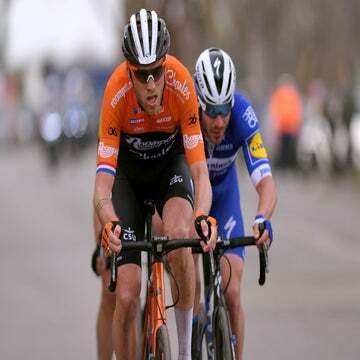 Huffman made his professional debut with the WorldTour squad Astana in 2013, and by 2014, he knew that his time in Europe was coming to a close. He was lonely and isolated in Europe; mediocre results were the outcome. And Huffman wrestled with a bigger problem. Like many 20-somethings, Huffman wondered what role his life played in society. Did it even matter that he was a pro cyclist? Did his 50th place at some small European race have any impact on the world at large? When Astana declined to re-sign him, Huffman contemplated whether he’d continue in the sport at all. Huffman had attended church and Sunday school as a child, yet by his early 20s, he no longer attended with any regularity. After returning to his hometown of Sacramento, Huffman turned to his faith for guidance. He watched sermons online and started to pray again, for his family and for his career. He sought out a new church, meeting his future wife in the process. And he sought answers to his questions from pastors and the bible. Church became Huffman’s emotional therapist, and the religious tattoos became his way to literally wear his faith on his sleeve. First came the forearm tattoos, which are conveniently visible during a victory salute, and then came the cross on his chest. 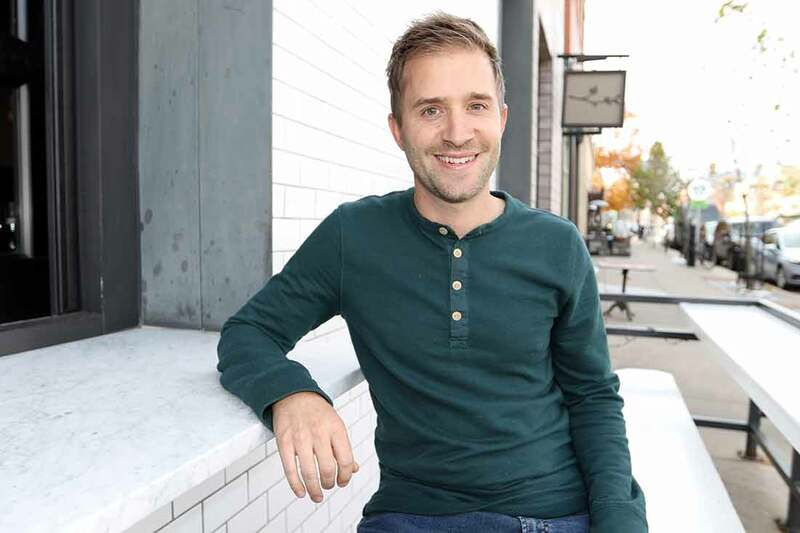 Huffman says his renewed interest in his faith brought him a sense of purpose and identity. He no longer worried about the role he played in the world. Huffman’s story is hardly an outlier, Henriksen says. All cyclists face the sport’s low moments, caused by crashes, injury, or bad results. And those challenges often lead a rider to contemplate his or her place in the universe. After all, pro cycling requires a selfish and often lonely lifestyle. A rider constantly focuses inward, on training and diet. Few riders actually win races and the majority toil in service of a team. Absent is the adulation and riches that greet mainstream pro athletes. Riders in the UCI Continental ranks rarely perform in front of television cameras or huge crowds. How does one define his or her place within the cosmos when success depends on grabbing a water bottle from a team car? 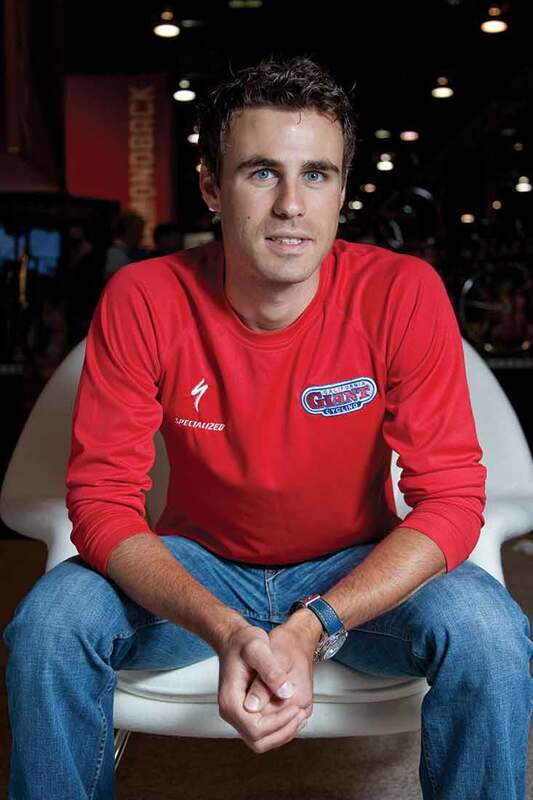 Henriksen says his work with pro cyclists frequently focuses on identity and confidence. In his eyes, dedication to God gives a rider a purpose that cycling simply cannot. Of the cyclists who spoke to VeloNews for this story, all referenced a challenging period within their professional careers that led to a renewed focus on faith and self-identity as a Christian. Amber Neben’s moment came after her crash at the 2013 Amgen Tour of California, which left her with a broken hip. Months of rehab and “lots of praying” eventually helped Neben renew her dedication to her pro career after she initially thought about retiring altogether. Team Sunweb’s Chad Haga points to two periods in which his faith helped him cope with cycling’s challenges. In 2014, Haga’s first full year in Europe, he also struggled with loneliness and bad results. 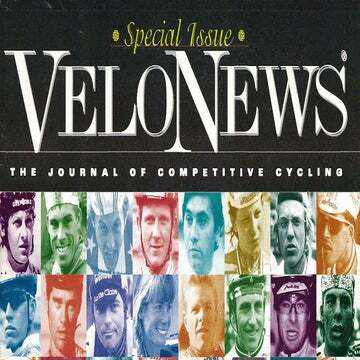 Like Huffman, Haga questioned his role within pro cycling and society at large. The answers Haga found pushed him into a depressed state. Haga had been raised in a Christian family but had let his faith lapse during his teens and 20s. In late 2014 he was put in touch with Henriksen, who offered some off-the-cuff spiritual guidance. The conversation turned into regular chats on the phone, and over the course of the year, Haga began to read the bible and attend church. Two years later, Haga said his Christian faith helped him navigate the lowest moments of his career. In early 2016 a car struck him during a training ride in Spain; Haga spent months in a hospital and much of the year rehabbing from the injuries. A few months after the accident, Haga’s father succumbed to lung cancer. Allie Dragoo is cognizant of the way critics view her religion: Christians reject science and modern learning, instead believing the world’s complexities are the work of a mysterious God. Because of this religious stigma, Dragoo, 28, has kept her faith to herself throughout her pro career. Sure, the sizable cross tattoo on her forearm alerts the world to her religious beliefs. Yet Dragoo said she rarely brings up religion with teammates; she prefers to discuss it with teammates who ask. Cyclists of faith often insulate their religious identity from others in their sport; all of the riders interviewed for this story shared some version of Dragoo’s tale. Some said silence is simply a courteous gesture to their secular teammates, while others simply said that the team environment is not always friendly for conversations about faith. After all, there is little upside to talking about faith amongst the team; at worst, it elicits some mild teasing, at best awkward silence. When a rider’s performance depends on teamwork, nobody wants to shatter a fragile social dynamic. These social hurdles are present for religious riders across the pro peloton. When Tunisian rider Rafaa Chtioui rode for the Italian Acqua & Sapone pro team, riders frequently asked him about his Muslim faith, and he spoke freely about his beliefs with them. When Chtioui signed with French team Europcar in 2012 and moved to France, he found the country’s societal secularism to be uninviting to his religious expression. He found a similar attitude on his team. During races, he completed his five daily Salat prayers at strategic times when his roommate was away. He sought religious discussion at a local Mosque, rather than amongst teammates. Henriksen hears stories like this often; he encourages his riders to discuss their faith freely but also understands the delicate team dynamic they must balance. The last thing he wants is for them to become outcasts for being outspoken about God. Each rider has his or her own way of approaching teammates. Henriksen must navigate his own relationships, and that of his AIA program, within the sport. He prefers to hold his prayer meetings away from official team events out of respect to others. A gap will likely always exist between AIA’s cycling members and the secular culture of the American peloton, and that is fine with Henriksen and his riders. They will continue to pray, for themselves, their teammates, and each other. They will continue to seek spiritual guidance away from the peloton, in a suburban Starbucks, or in deserted hotel bars like the one at the Sacramento DoubleTree. Before the riders break their meeting at the Tour of California, Henriksen poses an open-ended question: What does God want from me this week? Is it performance, teamwork, fair play? For each rider, the answer is different. After a half an hour, the riders say their goodbyes and head back into the nervous pre-race twilight.